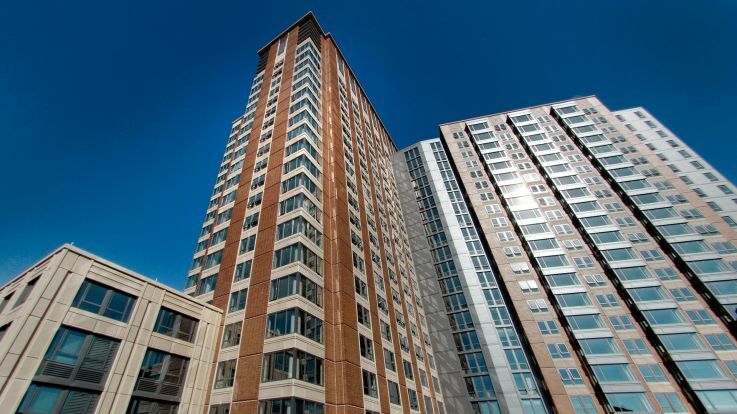 Learn more about living in our Theater District Boston apartments. Only a few hours outside the sparkling lights of Broadway is Boston’s Theater District, a theater-packed area on the south and east sides of Boston Common, just outside Chinatown, Downtown Crossing and Back Bay. Here, you’ll find more than a dozen theaters, including the Colonial, Shubert, Orpheum, Opera, Emerson and Wilbur, all of which have been restored to their original grandeur and host regular shows and performances. The proximity of the venues, as well as the bounty of nearby restaurants and nightlife options near Theater District Boston apartments, make the area a very desirable place for Bostonians to call home. One of the most convenient things about living in Boston’s Theater District is all of Beantown’s accessibility right at your fingertips, whether it’s being able to walk to the grocery store, out to meet friends and family for dinner and drinks, or to hop on a nearby bus or subway line and visit other corners of the city. Popular places to grab dinner and drinks within walking distance to Theater District Boston apartments include Abby Lane, serving American food to theater-goers, Teatro, home of a trendy take on old-school Italian across the street from Boston Common, and Jacob Wirth Restaurant, a German-style beer hall complete with piano sing-alongs. Boston’s traditional theater season runs from early fall through June, encompassing many different shows and performance styles, from sold-out rock tours to side-splitting comedy revues and intimate dance acts. Visit the iconic Boston Opera House and take in a big-name musical or dance spectacular, the Colonial Theatre on Boylston, which is the oldest continually operating theater in the country, and the Orpheum Theatre, home to concerts and fantastic acoustics. No matter where you venture in the neighborhood and beyond, you’re sure to find world-class entertainment just steps from Theater District Boston apartments. Transportation near Theater District Boston apartments is quite easy to navigate, thanks to its close proximity to Boston’s most desirable places to live, work and play. The Boylston Light Rail Station is just outside Boston Common, next to Emerson and the Citi Emerson Colonial Theatre, the Chinatown Orange Line station is steps from the Theater District’s east border, and various buses run throughout the area on a reliable schedule. I-90 and I-93 directly to the neighborhood’s south make this cultural, historic hub an accessible place to visit and thrive.